iPhone and Apple Watch users shopping at Aldi grocery stores can now check out with Apple Pay at nearly 1,700 locations across the U.S., marking a significant expansion for Apple's tap-to-pay service. 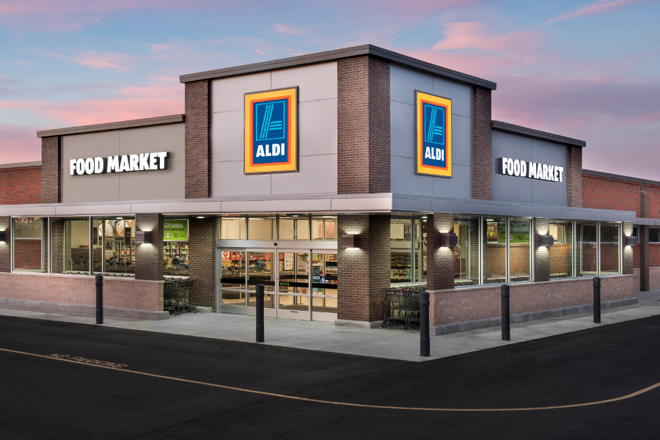 Beyond the iPhone, Aldi's expansion also includes Android Pay, meaning most anyone with an NFC-based payment system on their phone will be able to check out conveniently without swiping or inserting a credit card. Payment terminals at checkout will also support contactless bank and credit cards, as well as NFC-enabled wearable devices like the Apple Watch. "We're continually innovating to provide our customers a faster, more efficient shopping experience that saves them time and money," Aldo Chief Executive Jason Hart said. "Shoppers love ALDI because we build and run stores they can shop quickly. Contactless payment makes shopping at ALDI that much faster and more convenient." As of 2016, Aldi had 1,602 stores across the U.S. Recent expansions have brought the chain close to 1,700 locations in America. Apple Pay support has gradually expanded since the feature launched on the iPhone 6 nearly 3 years ago. One recent popular addition was the Citi Bike bicycle sharing service in New York City. The capabilities will further expand this fall with the launch of Apple Pay Cash, allowing for person-to-person money transfers direct from an iPhone or Apple Watch. Editor's note: Aldi originally said its stores also accepted Google Wallet, but that was incorrect. This story has been updated to remove references to it.